An advance lie of defense forts were built during World War II by the British Royal Navy. 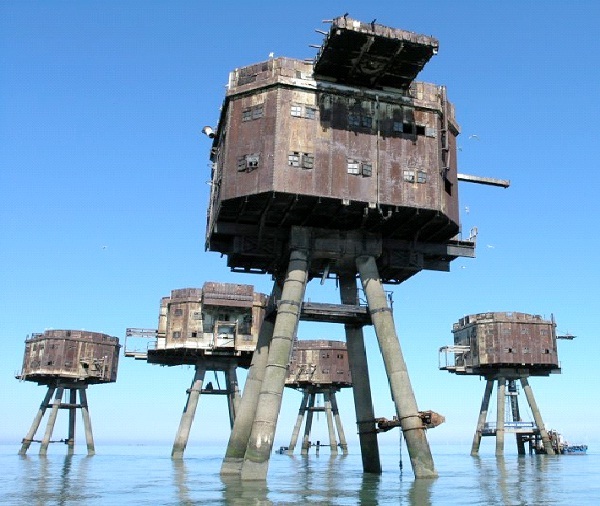 These sea forts still stand today and are abandoned in the North Sea not far from the coast of eastern England. Standing as monuments for maritime explorers, they are a historical portrayal of how the country protected itself against air raids.